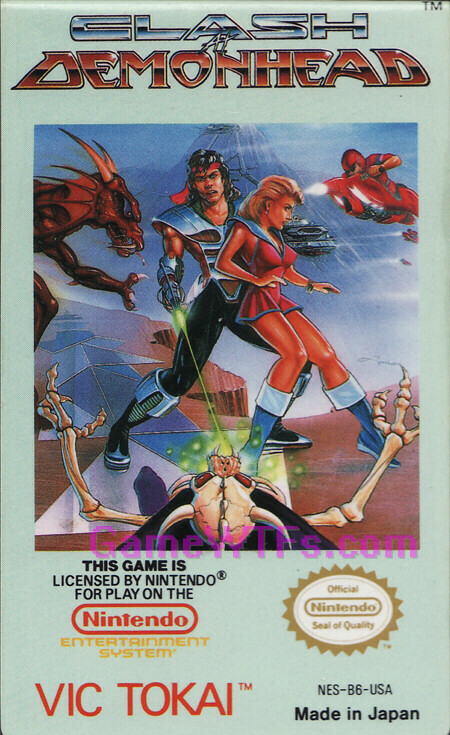 So, in Part 1 and Part 2 of the Great NES Cover Art Bandana Split, we saw games where the protagonists' cover art snappy sweatband didn't appear throughout in the pixels. But this week, in the third and final installment, we see a trifecta of bandana cover-art-to-game transitions that are (almost) flawless! 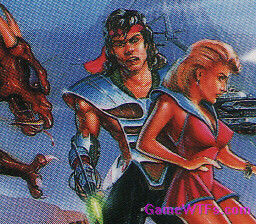 Every game features both a bandana in-game AND in a fancier character portrait (cutscene/intro scene or otherwise). It's enough to make you think, "wow, this whole thing was just an excuse to show off a bunch of cover art with very few words!" And in that spirit, it's on to PART 3 - WINNERS! 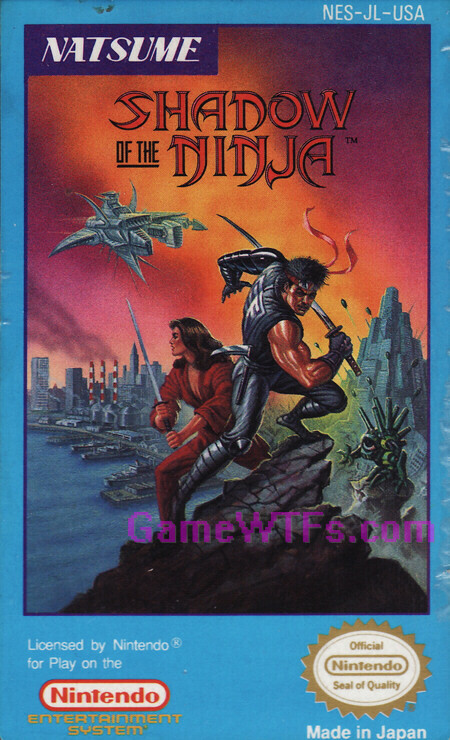 NINJAS VS. FRIGGIN ROBOTS! ...plus BANDANAS! And a cybernetic arm! 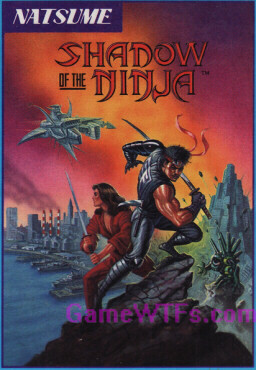 In-Game Character Select screen AND in-game sprites (for this 2-player simultaneous ninja-fest) both feature the vaunted hair-ties (even though they don't look very much like their cover-art equivalents). Why did this game come in 3rd place? Well, Kaede's cover-art picture doesn't include a bandana! 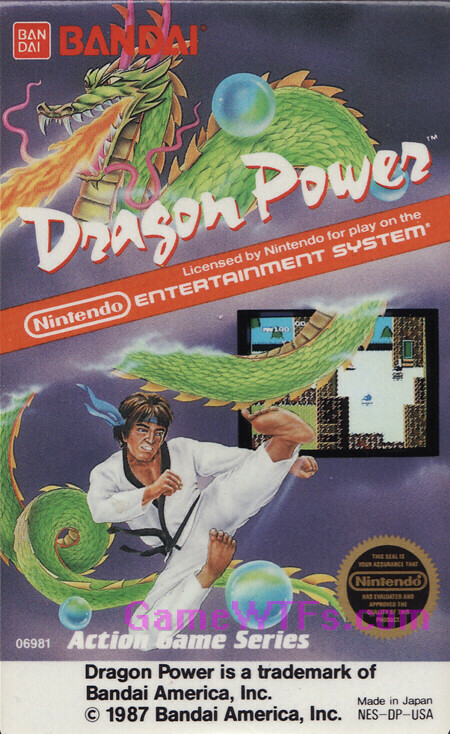 This Dragon Ball regionalization doesn't just feature a super-bland Karate Dude doing the traditional cover art jumpkick with a really large big toe...it features a super-bland Karate Dude with a tough-guy scar AND A BIG BLUE BANDANA! 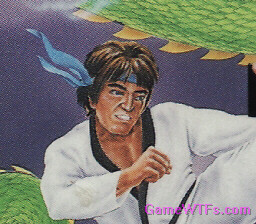 In battle scenes AND cutscenes, Generic Karate Dude features a bandana! Or, perhaps, sweatband; it doesn't really have the trailing bits. Why did this get 2nd place? HEY -- its a white bandana rather than the cover's blue bandana. 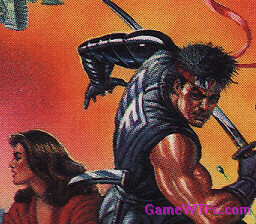 Well, demonic or not -- there's a lot of things flying together to crash and/or clash into this guy's head...but his dark locks don't have anything to worry about, there's a snappy red bandana to keep them safe! 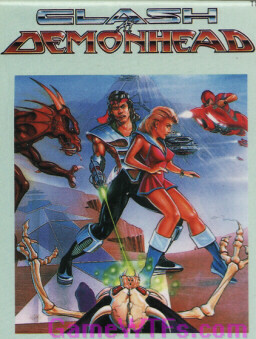 And his cover-matching red bandana at that, for which Clash at Demonhead wins the Gold Metal at the Great NES Cover Art Bandana Split! 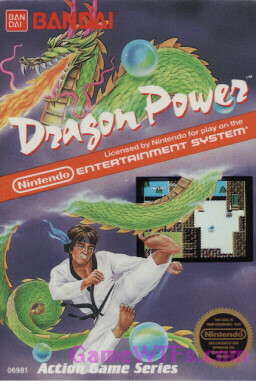 And really, is there a more sought-after award in all of NES history? Tune in next week for...uh, something else, anyway. , Cut the Cut Scenes!, Dojo Mojo, Form of: Plat!, Haberdasher Galaxy, Jumpy-Stabby, Pirates &/or Ninjas, Player 2 I <3 You, Spiky Apocalypse!, Toon In!